With over 25 years experience of teaching children and adults, from beginners to degree level, I have developed a style that is gentle, patient and full of enthusiasm. I offer private lessons in Dorking, Surrey. Online lessons are perfect for those who live too far from a suitable teacher. I run regular guitar workshops in Dorking, Surrey. Fiona Harrison gained her degree at the Royal College of Music and continued her studies at Yale University, USA, graduating as a Master of Music. 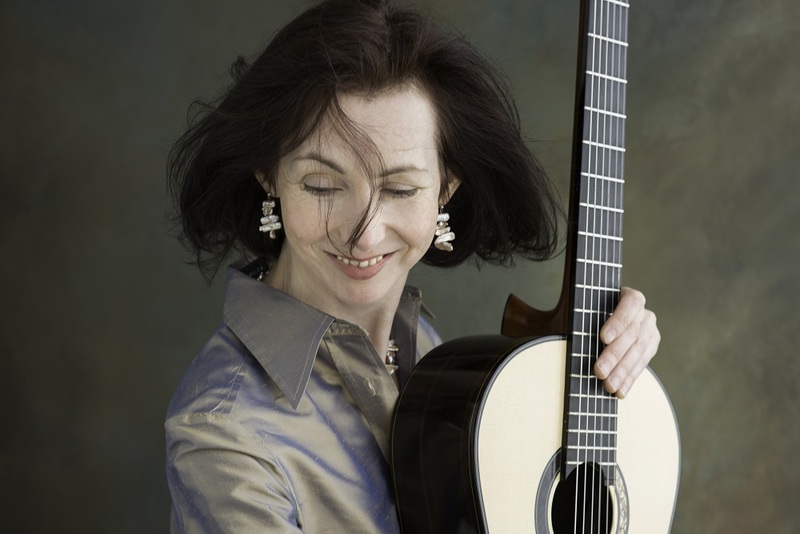 Having previously won the major guitar prizes of the RCM, she entered Yale as the Leon Brooks Walker Scholar and recipient of an Award from the Countess of Munster Musical Trust. She has appeared on television, broadcast live on BBC radio and worked with international cruise lines as a solo recitalist. Grades 1 – 8 plus post grade 8 diplomas. The first tutor book through to the Aranjuez Concierto and all steps in between. Can I work towards a grade? Yes. Some pupils enjoy taking the graded exams whilst others do not. We can discuss what you would prefer. When entering pupils for exams I use ABRSM or Trinity. A classical guitar (sometimes referred to as a Spanish guitar) and enthusiasm. I teach privately in North Holmwood, Dorking, Surrey. A couple of miles from Dorking station. There is a bus that leaves from Dorking train station but transport by car is usually quicker and easier. Get in touch to talk more about private lessons. Please contact me for up-to-date fees. Under 18s usually have 30 mins, students that live a relatively short drive away have a 60 minute lesson and those students that live a substantial drive or train journey away have a 90 minute or occasionally a two hour lesson. Do I have to attend lessons on a weekly basis? Under 18s will benefit from weekly lessons. My adult students that have a 60 or 90 minute lesson attend every 2/3/4/5/6 weeks depending on how far away they live and what other commitments they have in their diary. I am working on a particular piece or concert programme and would like advice but not regular lessons. Is this possible?